50 FT Olive Drab Nylon Braided Utility Cord | BUDK.com - Knives & Swords At The Lowest Prices! The Ultimate Multi-Tool is part of the Gerber Bear Grylls Survival Series of gear. From spending time in the British SAS, to scaling Mount Everest, Bear knows what it takes to be a survivor in extreme situations and multiple environments. Now he brings that knowledge to the creation of a range of items that help you make the most of your outdoor adventures. This tool offers 12 components (needle nose pliers, both fine edge and serrated knives, a saw, a Phillips screwdriver, small and medium flat drivers, a lanyard ring, a bottle opener, a can opener, scissors and wire cutters. The lightweight design won't weigh you down and the ergonomic, textured rubber grip makes this tool comfortable in hand. 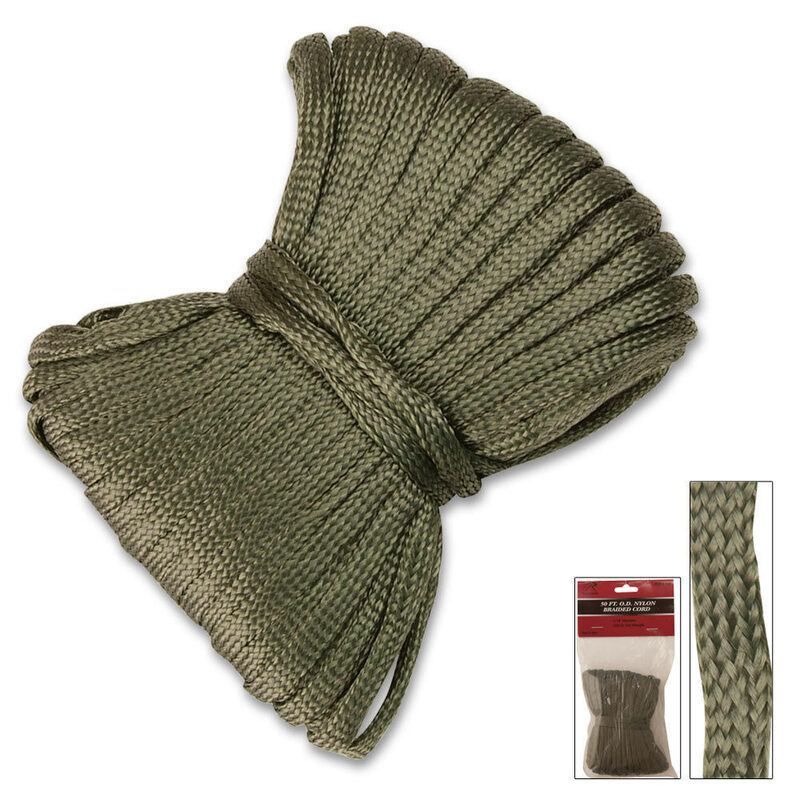 Includes a military grade, mildew resistant nylon sheath and a pocket survival guide. 6 3/10" overall, 4" closed.